South Bend, Indiana – Indiana patent attorneys for Heartland Recreational Vehicles, LLC (“Heartland”) of Elkhart, Indiana initiated a patent lawsuit in the Northern District of Indiana alleging that Gulf Stream Coach, Inc., (“Gulf Stream”) of Nappanee, Indiana infringed Patent Nos. 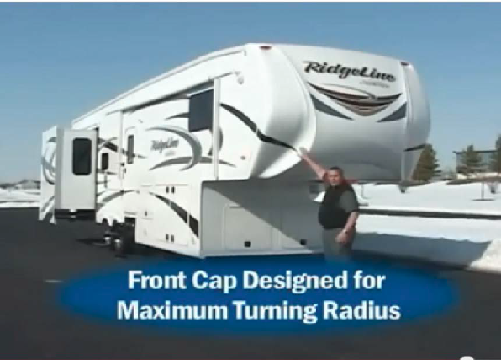 7,278,650; 7,878,545 and 8,162,352, each of which is titled “Travel Trailer Having Improved Turning Radius,” and which have been registered by the U.S. Patent and Trademark Office. Heartland manufactures recreational vehicles (“RVs”), including a type of travel trailer referred to as fifth-wheel travel trailers. Plaintiff contends that many of these fifth-wheel travel trailers incorporate and use one or more of the inventions of the patents-in-suit. Gulf Stream allegedly manufactures RVs with some similar characteristics. These trailers are marketed under the names Canyon Trail, Sedona, and Ridgeline. In its complaint, filed by Indiana patent lawyers, a single count – Patent Infringement – is alleged. That count covers all three patents-in-suit. Plaintiff asks for a declaration of infringement of one or more claims of all three patents; equitable relief, including a permanent injunction; damages for the alleged infringement of the patents-in-suit; a declaration that any infringement was willful and increased damages, up to and including treble damages; and a declaration that the case is “exceptional” and, pursuant to that, an award of attorneys’ fees and expenses. The case was assigned Case No. 3:15-cv-00131.